16mm 3-strand Nylon Rope 220m. 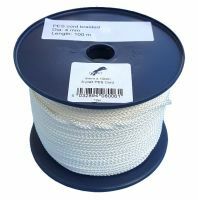 Supplied ready-wound on to a handy reel for ease of use and storage. MBL 5200kg - NOT Test Certificated.